Among Hyundai`s top notch models, the Veloster is considered the best one, as it comes with advanced aerodynamics and quite impressive performance under the hood. It is rather a small hatch with incredible speed and worthy sprint. However, there is also the Turbo and the N variant with more power than the standard one. The latter will arrive later on this year with a 2.0-liter four-cylinder engine with 275 horsepower and 352 Nm of torque, making it way too feisty than the Veloster Turbo, which brings up front just 201 horsepower and 264 Nm of torque, squeezed from a 1.6-liter turbocharged flour-cylinder. However, it is the Veloster Turbo that we are interested in this article. And so it is MotorWeek auto magazine through the voice of their journalist Carloss, who has had the chance of reviewing it in the video below. 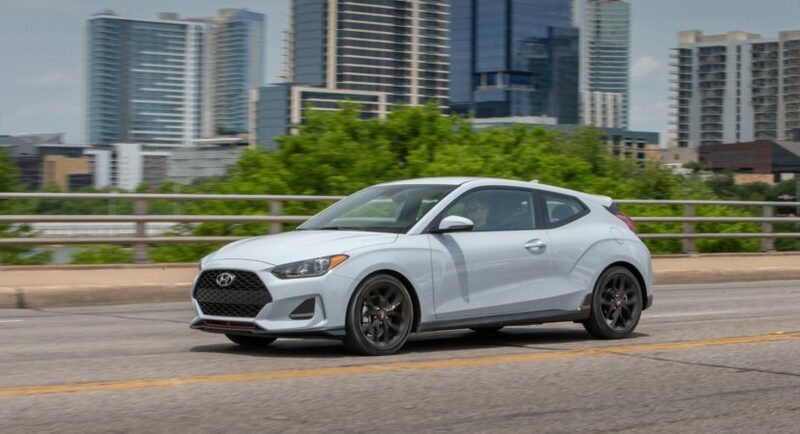 According to Carloss, the 2019 Hyundai Veloster Turbo doesn’t come with a lot of torque and the engine gets a little ‘’whiny”, because of the engine`s turbo lag. Even so, with the standard six-speed manual or optional seven-speed dual clutch transmission, the new Veloster Turbo makes quite an impression, managing quick reacting paddle shifters. Other visible improvements that the carmaker brought to the car is the new multi-link rear suspension which offers better stance and grip on the roads, along with some other cool stuff like new braking system and new wheels. Once it will arrive in the United States next month, the 2019 Hyundai Veloster will come with a base price of $18,500, while the Turbo variant will kick off at $22,900. Sooner both models will be joined by the top of the line N variant, with price to be announced at a later date. You can find out more about the 2019 Hyundai Veloster Turbo in the video review below! You can also find out about Carloss`s conclusions about the model and what needs to be improved, if any!